What Does a Veterinary Practice Manager Do? Veterinary practice managers are responsible for providing business management services and overseeing operations in the veterinary setting. They ensure that daily operations run smoothly in the clinic, allowing veterinarians to focus solely on practicing medicine rather than the many details of running a business. Veterinary practice managers are responsible for overseeing staff management and client relations. They may also need to handle animals on occasion if sufficient staff is not available to assist the veterinarians. Veterinary practice managers also must ensure that the clinic team provides quality care while generating adequate revenues to remain profitable. Many factors can influence the salary of veterinary practice managers, including the number of practices managed, the number of staff members managed, job responsibilities, the level of experience, certifications, and the location of the practice. A college degree is not necessarily required to be a veterinary practice manager, but a bachelor's degree or at least a background in business management may give candidates an advantage. Managers may also benefit from a variety of certification and training programs designed specifically for this niche career path. Certification: The Certified Veterinary Practice Manager (CVPM) designation is not mandatory, but it's highly regarded in the industry. The certification program is administered by the Veterinary Hospital Managers Association (VHMA). CVPM applicants must have at least three years of active employment out of the last seven years as a practice manager; 18 college semester hours in management courses; 48 hours of continuing education courses related to management; and four letters of recommendation. They must also pass a written exam. Continuing education: Some colleges and universities offer graduate level courses that count towards the continuing education requirement for the CVPM designation. One such institution, Purdue University, offers a Veterinary Practice Management program. The program has four modules with multiple courses that include developing and leading a veterinary team, learning the financials of the practice, marketing, and social media among others. Organization skills: This position requires overseeing and organizing important records and files. Leadership skills: Veterinary practice managers must be able to motivate employees and deal with issues that may arise so that the vets can focus on helping animals. Communication and interpersonal skills: The majority of a veterinary practice manager’s day is spent working with other people, so verbal and written communication skills and the ability to work effectively with others are key to success. 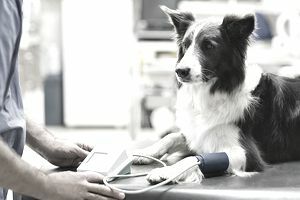 The U.S. Bureau of Labor Statistics projects that employment in the field of veterinary medicine will grow 19 percent through 2026, which much faster than the overall employment growth of 7 percent for all occupations in the country. In addition, the pet industry reached $72.56 billion in 2018 is expected to continue to show strong growth for the foreseeable future, according to the American Pet Products Association. Both of these statistics suggest an above-average job outlook for veterinary practice managers. Veterinary practice managers may work in any veterinary environment including small animal practices, large animal practices, emergency clinics, animal hospitals, university teaching clinics, and veterinary laboratories. They may find employment with one-doctor general practices or large specialty clinics with many practitioners. Like many administrative and management positions, this job can require multitasking and is suited to those who thrive under pressure. As is the case with most veterinary career paths, it's common for a practice manager to work some evening, weekend, and holiday hours. Completing a certification program specific to this work can give candidates a competitive advantage. Two such programs are the Certified Veterinary Practice Manager (CVPM) certification offered by The Veterinary Hospital Managers Association and the Veterinary Practice Management Program offered by Purdue University. You can apply for online at sites such as iHire Veterinary and Indeed.